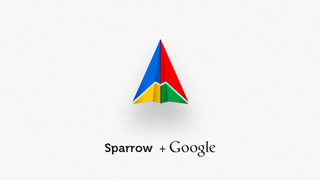 Sparrow's email apps on OS X and iOS are wonderful, but we weren't the only ones noticing that. Google noticed too, and that's why they snatched up the small software developer. But what does it mean for the future of Sparrow's apps, and also Gmail? Now we're joining the Gmail team to accomplish a bigger vision - one that we think we can better achieve with Google. We'd like to extend a special thanks to all of our users who have supported us, advised us, given us priceless feedback and allowed us to build a better mail application. While we'll be working on new things at Google, we will continue to make Sparrow available and provide support for our users. So where does the company go from here? Their efforts up until now have been entirely Apple-centric, which could have an affect on their work with iOS. Google, as you know, has had a contentious relationship with Apple in general, but it's especially icy when it come to the mobile space. With every major tech companny hoarding products and technologies for its own platforms, will Google make the Sparrow team focus solely on Android when it comes to mobile? On the upside, the idea of an official Gmail desktop client is exciting. The simplicity and attractiveness of the Sparrow UI combined with the speed and power of Gmail's web client (especially with regard to search) is an exciting prospect. I'm keeping my fingers crossed for that one.